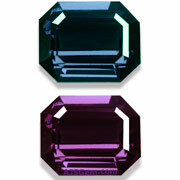 The rarest and most valuable of all colored gems are Kashmir Sapphire and Burma Ruby. The famed sapphires from Kashmir have not been mined for more than 100 years and you will rarely see a high quality specimen in the market, even at auction. Burma rubies are still being mined, but production has slowed to a trickle, and few rubies over 1 carat are being found. 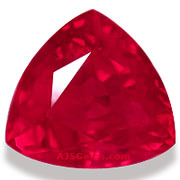 Inevitably Burma rubies will become ultra-rare as well. With dwindling supply and strong demand from China, ruby prices have soared in the last few years. This is a trend that shows no signs of abating; even African rubies have become quite expensive. Unfortunately many buyers who have planned to acquire a Burma ruby now find themselves priced out of the market. If you're among the many gem lovers who have long coveted a fine Burma ruby, we invite you to take advantage of our one-time promotion for the month of August -- we are offering all the rubies in our collection at a 20% discount. We also have good news for our American clients. Import restrictions on Burmese ruby and jade have made it difficult for Americans to acquire these rare gems. However, we are holding a significant stock of Burma rubies in the USA and have included these rubies in our August promotion. So if you are in the USA you can benefit from our special offer without any worries about import restrictions. If you would like information on the Burmese rubies we are holding in our US vault, please email us. To take advantage of this special ruby offer, please use this discount code at checkout: AJSRUB. Please note that payment by bank transfer is required for this special promotion. Of course all gems are 100% guarantee and our usual return policy applies to all sales. A top grade sunstone from the Spectrum Mine in southern Oregon. Beautiful clean material with very fine color and excellent pleochroism, this gorgeous gem will delight the most discriminating collector. Guaranteed natural and untreated. 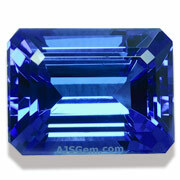 A stunning large tanzanite in a hard-to-find emerald cut. Displaying a vivid violet-blue color and excellent clarity, this well-cut gem will be sure to impress when set in your jewelry design. Guaranteed natural. A big purplish-red rhodolite from Madagascar with an open color. 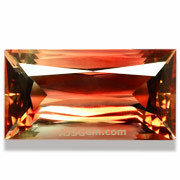 This is a bright stone that has been precision cut to bring out the rich color and maximize fire. Guaranteed natural and untreated. A superb and rare color-change garnet from Bekily, Madagascar. The Bekily deposit has yielded the only blue garnets ever discovered, and this 3.86 carat gem is a top grade example. Displaying a strong color change to purplish red under incandescent lighting, this is a very clean gem with excellent transparency. This is a very rare and high quality specimen for the serious collector. Guaranteed natural and untreated. With 100% fire, this fine bubblegum pink apphire has been superbly cut with full luster, no window and an excellent polish. This gorgeous gemstone bursts with color from all angles ... guaranteed natural. There were 7,160 lots of jade on offer at the annual Gems Emporium held in Naypyidaw in July. This was significantly lower than the 10,000 lots on offer in 2013 and the 15,000 lots in 2012. Despite the lower supply, prices were up, with sales totalling $3.4 billion compared to $2.7 billion for 2013. The reduction in the number of lots on offer is part of a government strategy to reduce the large-scale export of raw jade from Burma and keep more jade in the country for added-value processing. NBC News' Today show aired a segment on July 28th on the prevalence of lead glass-filled ruby sold as natural in the retail jewelry trade. As gemologist Antoinette Matlins commented in the segment, "These are not real rubies, period. They are not rare, they are not valuable, and they are not durable.” You can view the video online here: Glass-Filled Ruby Alert. We photograph our gems under balanced lighting with a temperature of 5000 Kelvin. We do a quality check against the actual gems to make sure the color is accurate. Of course computer monitors can vary in how they represent color. But in our testing we've found that with LCD (flat screen) monitors the largest variance is the viewing angle. On many monitors, the color saturation and tone will vary significantly according to your viewing angle. You can test your monitor with this handy color chart. Notice how the colors vary from the top to the bottom of your screen, and how the color saturation changes when you change your vertical or horizontal viewing angle. The traditional sources for the finest colored gems were Burma and Sri Lanka. Though both locations still produce gems (Sri Lanka more than Burma), Africa has become the most important source for fine colored stones, particularly east Africa. The region stretching from Ethiopia in the north to Mozambique and Madagascar in the south has produced an amazing wealth of gems, ranging from opal to tsavorite garnet, color-change garnet, tanzanite, spinel, ruby, sapphire, tourmaline, aquamarine, morganite, sphene and zircon.